In Caelie After The Massacre by Wendy Fisher, Caelie’s family has been betrayed by a trusted confidante and she is the lone survivor. She wanders through the frozen tundra looking for healing and safety. 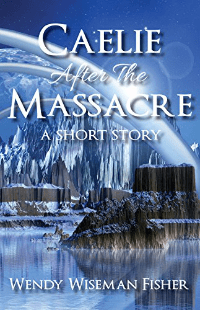 Caelie After The Massacre is a short story and the first book in the Moosewolf series.